How to make Lavender Scones | Lavender Scones with an excellent floral aroma and taste would look great for any summer afternoon or cream tea. 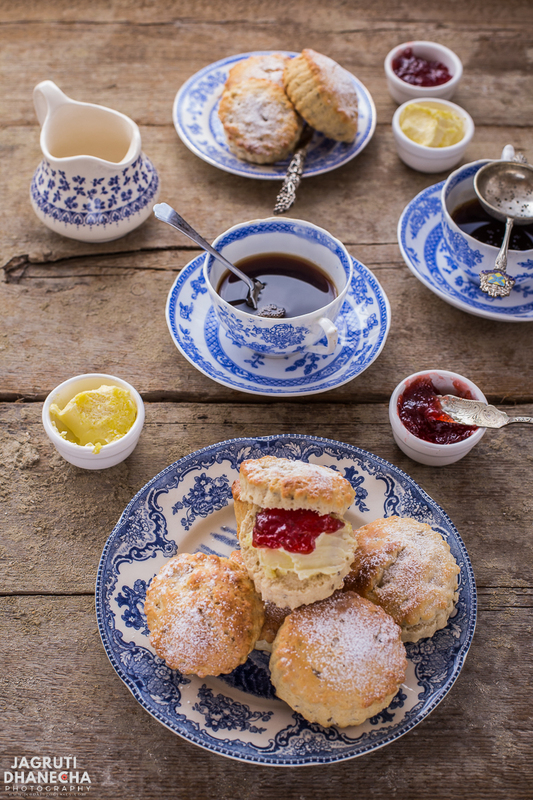 There is nothing like a plate of lavender scones smothered with clotted cream and strawberry preserve! These delightful and most delicious lavender scones were baked in our kitchen just a few days ago. The kitchen filled with the freshly baked aroma of lavender and took us back to Mayfield lavender fields where we enjoyed them first. Although there are no eggs include here, this recipe makes light and well-risen scones. Scones turned out crumbly and feather light, how they should be. These can be eaten at brunch and lavender adds an elegant touch to it and adds a delicate flavour. Scones should be crumbly and light and are best enjoyed with clotted cream (aka Devonshire cream) and jam. Just don't get into the debate whether the jam goes first or the cream! 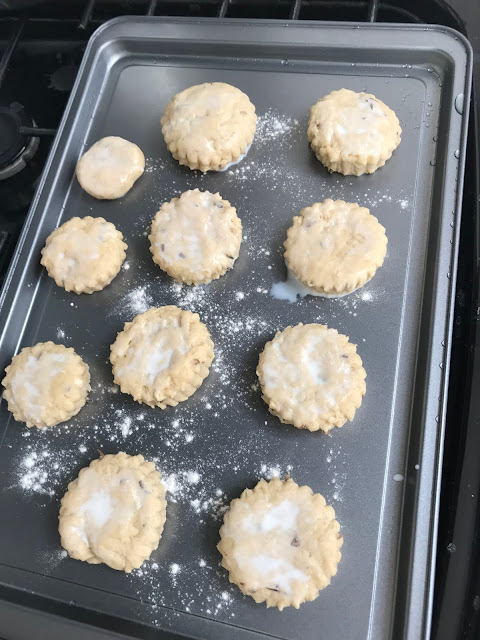 As we were baking the scones, my daughter told me that the first ever baking you do at secondary school in food tech is to learn to bake scones. The term "high tea" and "afternoon tea" tend to be used interchangeably. However, there is a difference. High tea involves tea, bread, vegetables, cheese and meats - usually eaten by the working class as an evening meal. Afternoon tea was taken as a "mini meal" in between lunch and a late dinner by the upper class and consists of tea, pastries, cakes, scones and sandwiches. We went to Mayfield Lavender last year and first tried these Lavender scones with Lavender frappuccino and Lavender cupcakes. Since, I've been waiting to bake these scones and recreate the magic! I think this recipe does the scones justice. 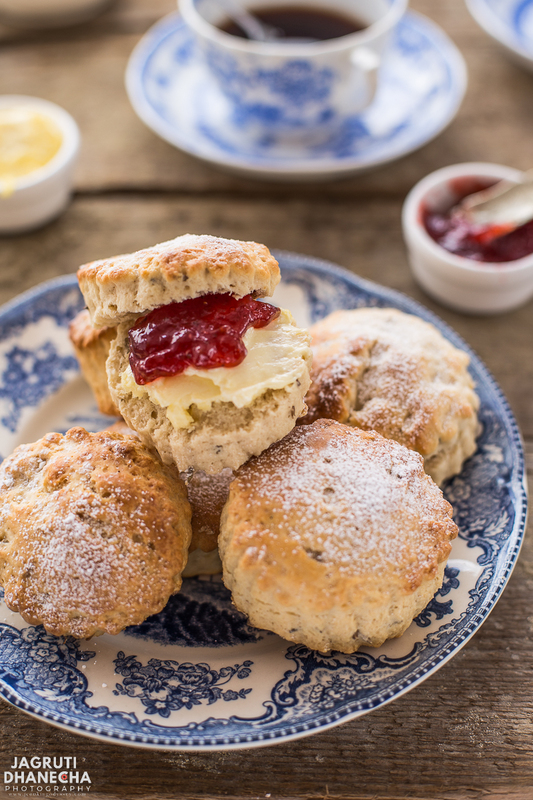 Fall in love with scones all over again. Lavender Scones with an excellent floral aroma and taste would look great for any summer afternoon or cream tea. Preheat the oven to gas mark 7 or 200C. In a mixing bowl add sifted flour and add salt. Mix well. Add chilled butter and using your fingertips rub butter into flour until mixture resembles breadcrumbs. Add milk and mix with the spatula until mixture forms a soft dough. Sprinkle some flour on the work surface and knead the dough only for few times. Don't try to knead too much else scones will be too tough and won't rise high. Pat the dough with your fingertips into around 2cm thick. Dust the baking tray with the flour. Using a 5-7cm round cookie cutter ( I used ridge side) cut out the scones. Press the dough together again cut out some more scones. Place scones on the prepared flat baking tray. Brush top of the scones with very little milk. Bake for 18-20 minutes ( check the scones after 15 minutes ) or until lightly golden and well risen. Once done immediately transfer them on a wire rack to cool slightly. Serve warm with clotted cream and fruit preserve. Use chilled butter and rub the flour only with your fingertips. Don't try to knead the dough too much. If you don't have lavender try raisins or sultanas. Although scones can be eaten on the next day, best are on the same day. Scones are served with any fruit preserve or compote but in my opinion strawberry flavour is the best. Try to eat scones with clotted cream but if you can't find, butter is nice too. I am so in love with your lavender scones such a perfect texture and the way you have photographed them they are tempting me to pick them up from the screen itself specially the jam and butter slathered ones just too good , loved the eggless recipe have to try it soon. Would love to have these scones for my breakfast with some salted butter and honey, how prefect those scones looks to kick start a day with. Prefect for brunch as well. Lovely and you nailed them prefectly Jags. Thanks Priya. Salted butter and honey sounds like a good idea. Scones looks so perfect and delish Jagruti. 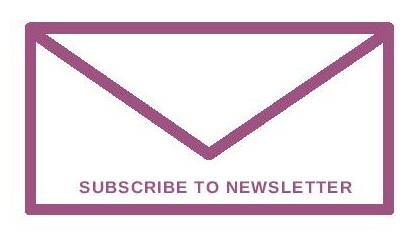 Always love your presentation and click. Awesome share. Lovely lovely picture and I absolutely love scones. 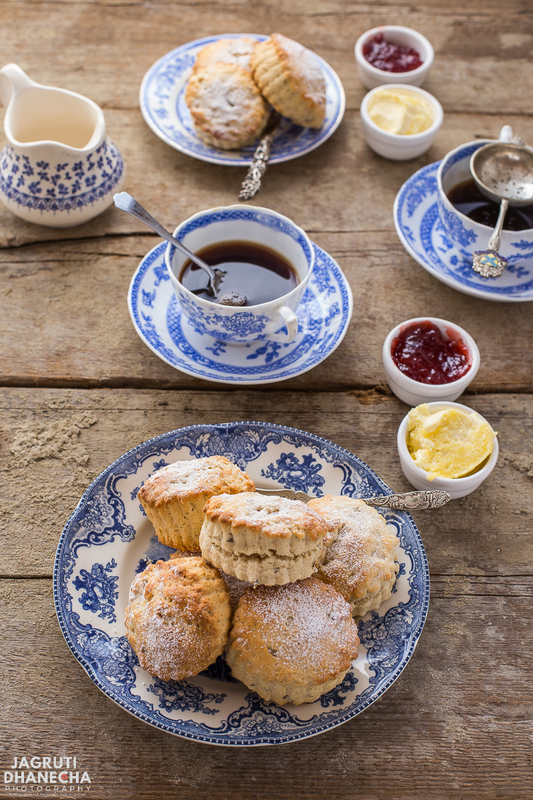 London and scones, both bring a big nostalgic wave. I really miss London! Love the whole set up, so elegant befitting a afternoon high tea. I bake lavender and lemon scones and they just taste amazing. Thanks Mayuri, yes lemon adds that summery feel to it. Thanks Maria, you lucky girl you are growing your own lavender. I might try growing next season. 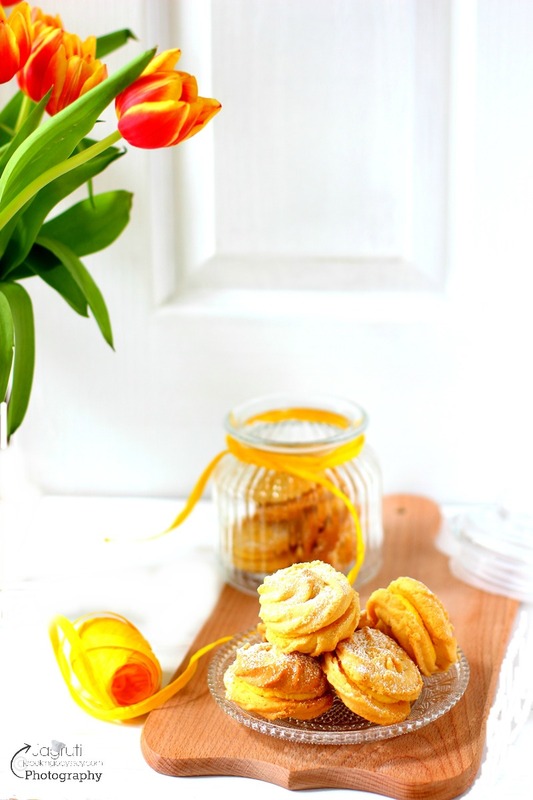 This fragrant and delightful scones look so so good and your beautiful setup and photography makes them all the more wanting ! Lavender Scones looks so beautiful and delish Jagruti. Such a wow setup & lovely share!! Hmmmm, Lavender is my favorite aroma. I can imagine the million dollar feel of the bake. I would love to try this soon and will let you know, Jagruti. Scones looking great, with lavender it will be awesome flavor. I am curious how this dough will be different then normal bun dough? Lavender is my new favorite scent and I am using the essential oil to refresh my house and making loads of lavender green tea too. These scones looks absolutely perfect to pair with tea and I am loving the majestic tea table you set up. These scones look like they have a very nice crumb, and the lavender sounds delightful! I love scones but I have never made an eggless version yet. This looks so good. I love hot scones with all the butter melting into it. Perfect brunch in our home. looks so good. Wow!! Love the fact that it is eggless; fabulous breakfast delight! Oh how I love scones! The lavender sounds wonderful and the clotted cream and strawberry preserve is just over the top amazing! It was extremely interesting to find out about the difference between "high tea" and "afternoon tea" - thank you! :) The recipe is fantastic! These are absolutely gorgeous scones. Perfect with a little clotted cream for tea time! 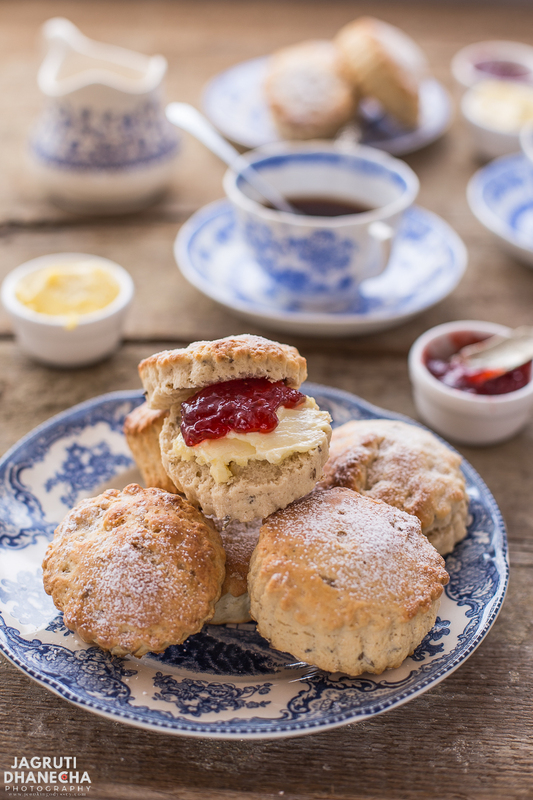 These scones are gorgeous and would be lovely with a bit of clotted cream at tea time. There's nothing better than a fresh cone hot out of the oven. The aroma of the lavender is fantastic! I've been doing afternoon tea semi-regularly this past year and this looks like a great addition to the menu next session. The smell and flavor of lavender is so lovely! It was a great idea to add it to scones. These would make a great brunch or snack. Scones are among my favorites to make and to eat. Here in Canada, the majority of the places sell scones with a texture more like a muffin or cake, which I do not like. Yours seem crumbly and just the way I like them. Will try your recipe without the egg! 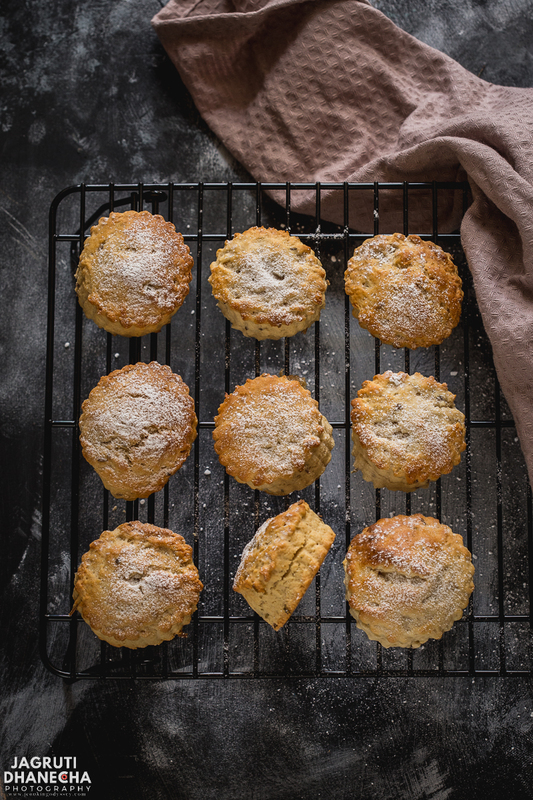 These scones sound just lovely and your photography is beautiful! 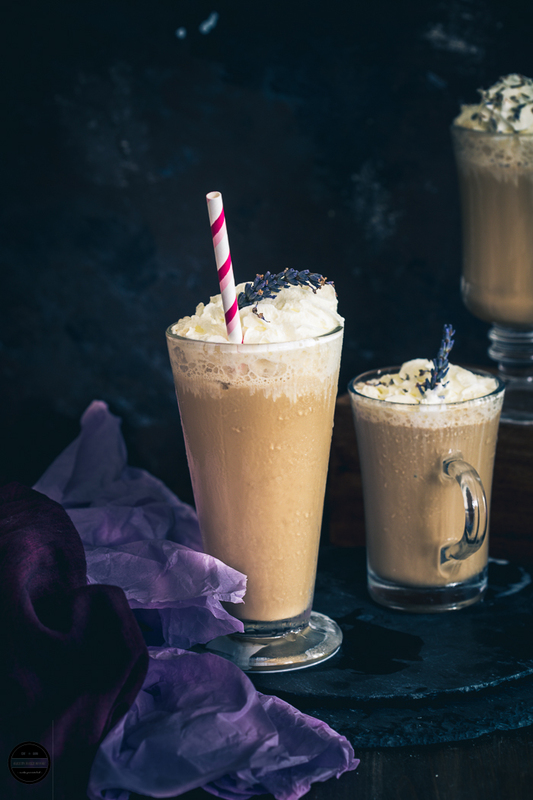 Lavender is one of my favorites, I will definitely have to give this recipe a go! These scones look so gorgeous and tempting! Wish I had one right now with my coffee. Delicious!